Detroit’s Wesley Berry Flowers is expanding its online business to 80 countries by the beginning of 2014 and will operate as FlowerDeliveryExpress.com worldwide, and as WesleyBerryFlowers.com in metro Detroit. The company’s online retail began in 1996 and has grown to represent 85 percent of its business, with FlowerDeliveryExpress.com accounting for the bulk of the trade. To get there, the company surveyed nearly 20,000 customers about its online operations, says Wesley Berry II, the company’s CEO. Berry says the website broadens the reach of customers and merchandise from around the world, attaining products from Israel, Thailand, Holland, and South America, which allows the company to cater to the tastes of different cultures. The company delivers flower arrangements from its own brick-and-mortar shops and through more than 75,000 affiliated shops. “The differences between (onsite and online retail) are overwhelming,” Berry says. “Representation of product is not just what you have on hand, but what you can procure,” he says. 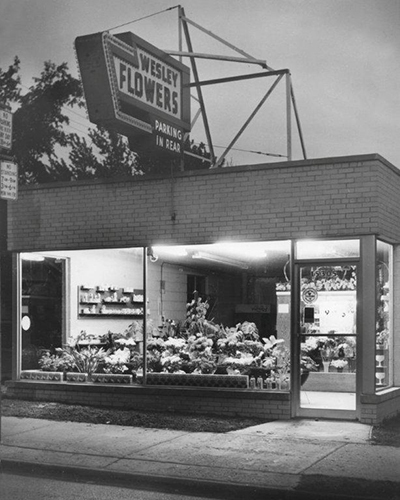 Wesley Berry Flowers was founded in 1946 by Berry’s parents, West and Florence, and now reaches more than 30 million customers worldwide. The business has more than 100 employees in metro Detroit and still operates from its original location on Schoolcraft, near Greenfield, in Detroit. Its flagship store in Commerce Township serves as the headquarters for the company’s online services. Berry says success stems from a focus on quality, value, and community activities. As one example, the company works with the West Bloomfield Optimist Club, sponsoring college tuition scholarships and providing Christmas gifts for underprivileged children. The company also participates in the Adopt-a-Highway program. “(We try) to make a positive social statement,” Berry says.